Located in northern China, the Great Wall extends 2000 miles from Jiuquan in the West to the sea near Shanhaiguan in the East. Completed in 204 B.C., the wall is 15-20 feet high and 15-25 feet thick. 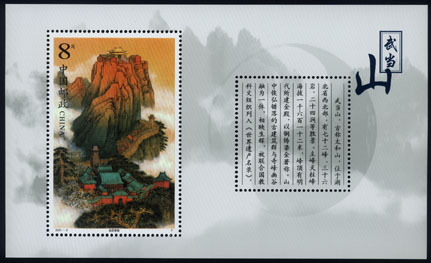 Mount Tai has 112 peaks, the main one being Jade Emperor's Peak. In addition, there are many cultural elements to the site including 22 temples, 97 ruins, 819 stone tablets, and over 1000 stone inscriptions. Taishan has been considered a symbol of heaven for over 3000 years and has been a destination of personal pilgrimages of the emperors for over 2000 years. Located in the center of Beijing, the Imperial Palace (Forbidden City) occupies 150,000 square miles and has over 9000 rooms. It is the largest set of buildings preserved in China. 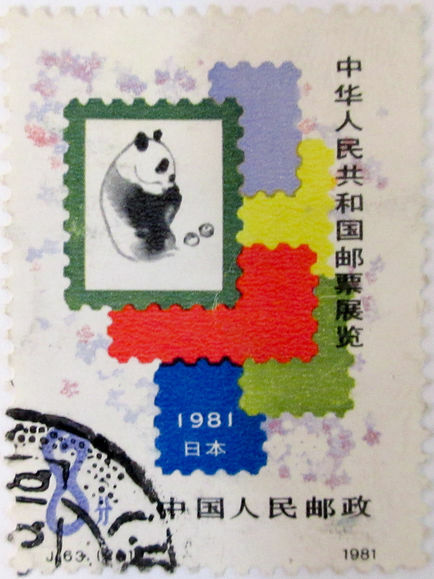 Our first visit to the Forbidden City in May 1991 found the place jam-packed with visitors. In real life it looks just like it did in the movies ("The Last Emperor"), and one must go there, but it was extremely crowded with Chinese tourists, and most of our time was spent shoving our way through the crowds to try and get a brief glimpse into the various rooms. The place is also in some disrepair, except for the roofs which are beautiful. There are lots of courtyards and rooms where a bunch of people crowd up and push and shove to peer into a room with period furniture and then hurry off to crowd up at the next window, and so on. Fortunately, I had the opportunity to revisit the Imperial Palace in January 2000. Cold temperatures and snow kept the crowds down to a mere trickle which afforded a much more pleasant visit. The sign "To Cherish Cultural Relics is Everybody's Duty" hangs outside of the Mogao Grottoes, a collection of budhist cave temples near Dunhuang with well preserved frescoes from the 4th through 8th centuries AD. One of the more famous caves is Cave 17, a small cave inside of Cave 16 where the famous stash of manuscripts were sealed up and uncovered by a monk around the turn of the century. 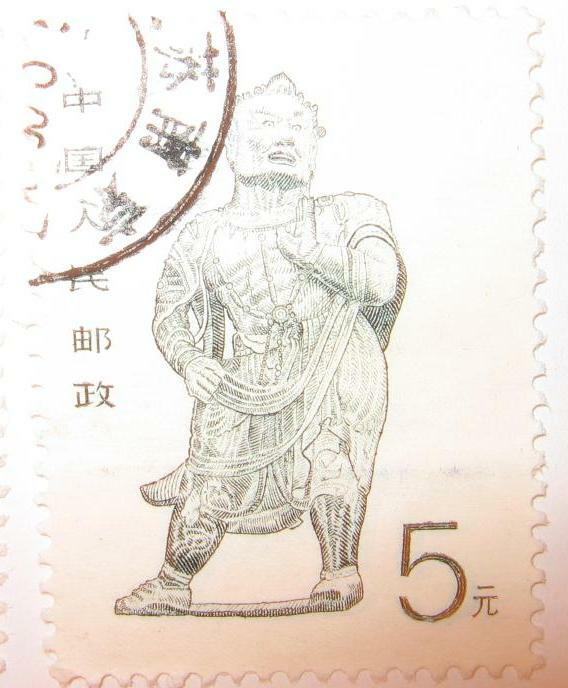 He sold off much of the collection to Sir Aurel Stein including the oldest dated printed book in existence (The Diamond Sutra, 868 AD). The manuscripts are now found in many sites throughout the world including the National Library of China, The British Library (not the British Museum! ), the Biblitheque Nationale in Paris and the Institute of Oriental Studies in St. Petersburg. 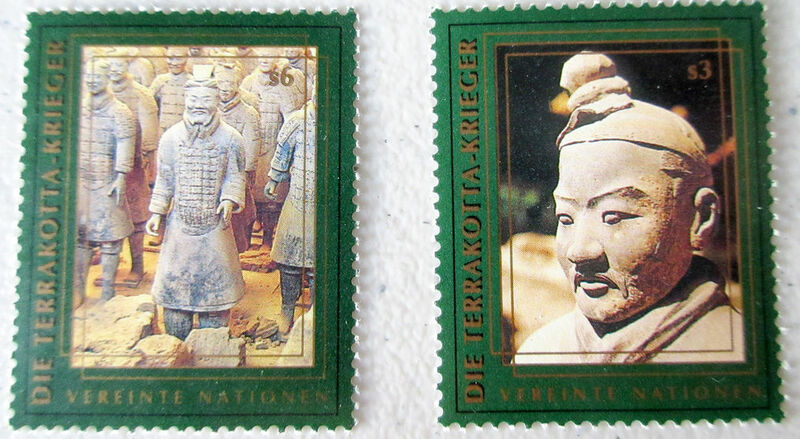 Qin Shi Huang was the first Emperor of the Qin Dynasty (259 - 210 BC). He is famous for his mausoleum of terracotta figures begun when he was 13 years old and taking 700,000 labourers and 36 years to build. 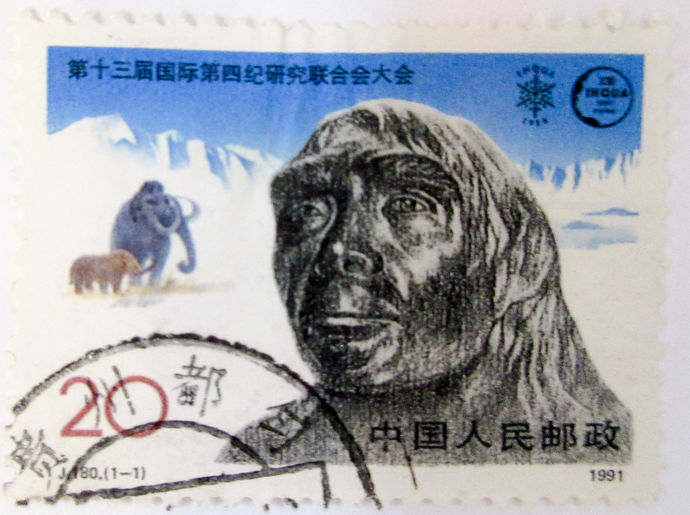 The Peking Man site at Zhoukoudian on the outskirts of Beijing was discovered in the 1920s and has yielded prolific fossil remains of the archaic human species Homo erectus, dated to approximately 500,000 years ago. An active program of research is still being conducted at Zhoukoudian by the Institute of Vertebrate Paleontology and Paleoanthropology, Academia Sinica. Visitors can tour previously excavated localities as well as a museum which contains exhibits on the site's geology, paleontology, paleoanthropology and archaeology. The Lotus Flower Peak is the most famous of the many peaks on Mount Huangshan. Interesting rock formations, many resembling animals and mythical figures abound, combined with swirling clouds to give the area an enchanted feeling. Located in China's Hunan Province, the site is distinguished by more than 3,000 narrow sandstone pillars and peaks, many over 200 metres high. The Nine-village Valley, so named because there used to be nine Tibetan villages in the valley, is located in Nanping County in the Aba Tibetan and Qiang Nationality Autonomous Prefecture of Sichuan Province. 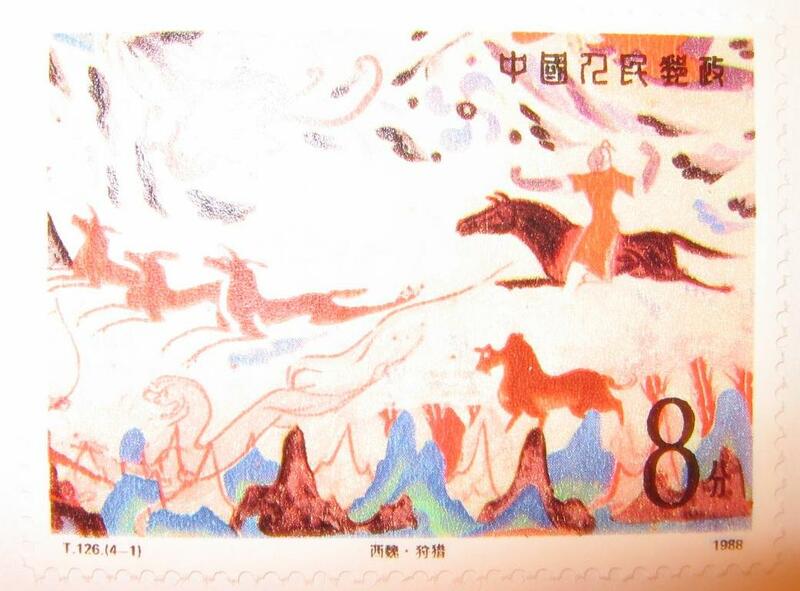 Meaning Yellow Dragon, Huanglong is located 150 km NNW of the capital Chengdu. The area is known for colorful pools formed by calcite deposits, as well as diverse forest ecosystems, snow-capped peaks, waterfalls and hot springs. It is home to many endangered species including the Giant Panda and the Sichuan golden snub-nosed monkey. The Qing dynasty's summer palace in Hebei Province, was built between 1703 and 1792. Temples of various architectural styles and imperial gardens mesh with a landscape of lakes, pastureland and forests. This complex locacted at Qufu in Shandong Province contains the temple, cemetery and family mansion of Confucius, philosopher, politician and educator, of the 6th & 5th centuries BC. 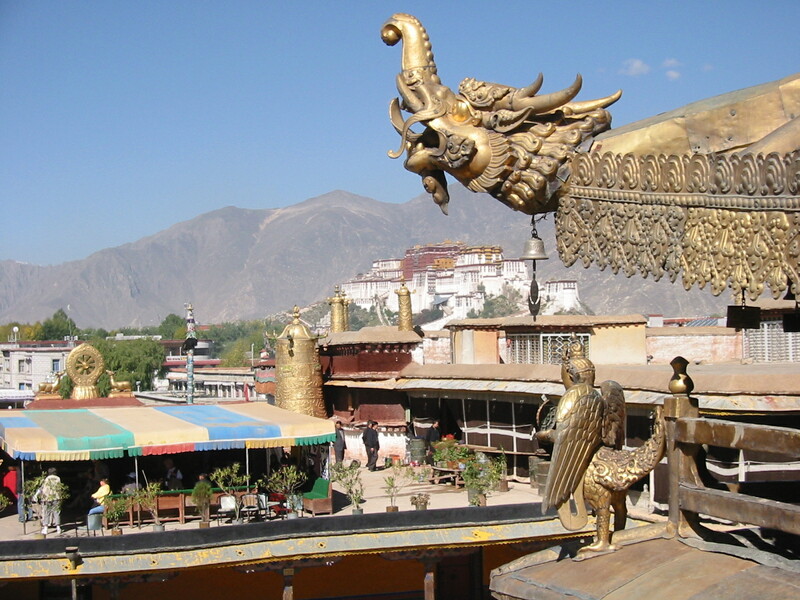 The temple was originally built in 478 BC, but has been destroyed and rebuilt countless times over the centuries. The cemetery contains Confucius' tomb and the remains of more than 100,000 of his descendants. Mount Wudang,also known as Mountain Taihe,is a famous mountain in the northwest of China's Hubei Province.It undulates to connect with the Qinling Mountain ranges in the north and the Bashan Mountain in the south.The numerous peaks and magnificent crags of Mount Wudang are often enshrined in foggy clouds. 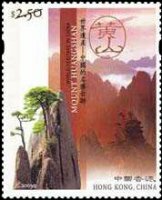 The Ping Yao region has been inhabited since neolithic times times. Ping Yao has six large temples, some of them very old, such as the Shuang Lin Temple (sixth century) and the Hall of Ten Thousand Buddhas in the Temple of Zhen Guo (tenth century). The Lijiang Region has been inhabited since paleolithic times. 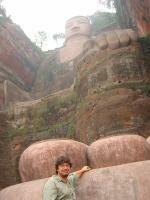 It became a county during the Han dynasty (206 BC to 220 AD). Summer Palace from a travelog by Graham Hawker. Located in Southeastern China near Wuyishan City, Fujian Province, Mount Wuyi contains many exceptional archaeological sites, including the Han City established in the 1st century BC. Hongcun Village is located at the foot of the southwest side of Mt. Huangshan, only 11 kilometers from Yixian County. It is a unique, cow-shaped ancient village. 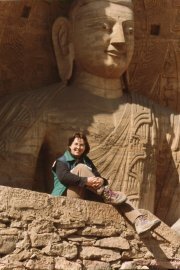 The Longmen caves were carved by the Northern Wei after they moved from Yungang and you can see a lot of similarity. The Yungang group has more large deep caves than here which is comprised of many smaller niches with cat walks at various levels. There is a good view of the whole grouping from across the river that runs along the length of the caves. The Ming Tombs from a travelog by Graham Hawker. Three great rivers the Yangtse (Jinshajiang), Mekong (Lacang) and Salween (Nujiang), flow from north to south, through steep parallel gorges in the National Park. In places the gorges are 2,000m deep. At their closest the three gorges are 18 and 66 kilometres apart, and for 70 kilometres there is a fourth parallel river on the western edge, the Dulongjiang, which runs into Myanmar. The site includes archaeological remains of three cities and 40 tombs: Wunu Mountain City, Guonei City and Wandu Mountain City, 14 tombs are imperial, 26 of nobles. All belong to the Koguryo culture, named after the dynasty that ruled over parts of northern China and the northern half of the Korean Peninsula from 277 BC to 668 AD. The lucrative port of Macao was under Portuguese administration from the mid 16th century until 1999, when it came under Chinese sovereignty. 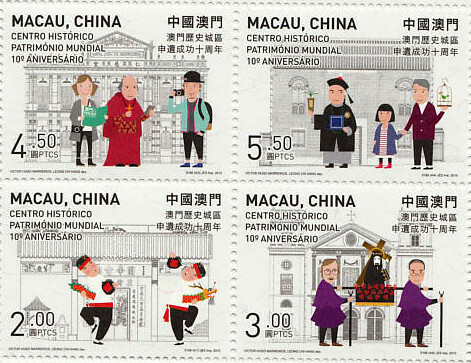 The site displays a mix of East and West on its residential, religious and public Portuguese and Chinese buildings. The fortress and lighthouse are the oldest in China. The Sichuan Giant Panda Sanctuaries are home to more than 30% of the world's endangered pandas. The seven nature reserves and nine scenic parks in the Qionglai and Jiajin Mountains constitute the largest remaining contiguous habitat of the giant panda, a relict from the paleo-tropic forests of the Tertiary Era. There are also important captive breeding sites and the sanctuaries are home to other endangered animals such as the red panda, snow leopard and clouded leopard. The archaeological site of Yin Xu, close to Anyang City, 500 km south of Beijing, is an ancient capital city of the late Shang Dynasty (1300 to 1046 BC). 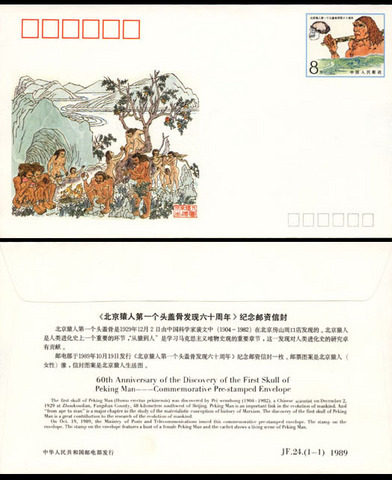 The original listing included three separate clusters: Libo Karst, Shilin Karst and Wulong Karst. 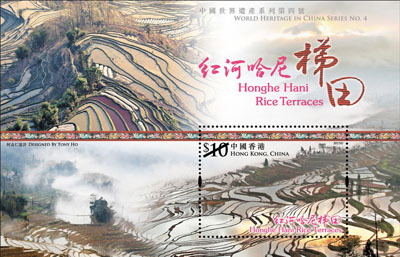 It has been expanded to include Jinfoshan, Shibing, Huanjiang, and Guilin Karsts. A karst consists of irregular limestone formations in which erosion has produced fissures, sinkholes, underground streams, and caverns. The Stone Forest, or Shilin, is one of China's most famous scenic spots. These villages feature the Diaolou, multi-storied defensive village houses in Kaiping, Guangdong Province. The Fujian Tulou site includes 46 houses built between the 12th and 20th centuries located approximately 120 km in south-west of Fujian province, inland from the Taiwan Strait. They are multi-story earthen houses built along an inward-looking, circular or square floor plan as housing for up to 800 people each. Mount Songshang is considered to be the central sacred mountain of China. At the foot of this mountain, near the city of Dengfeng in Henan province stand eight clusters of buildings and sites, including three Han Que gates - remains of the oldest religious edifices in China, the Zhougong Sundial Platform and the Dengfeng Observatory. Constructed over the course of nine dynasties, these buildings are reflections of different ways of perceiving the centre of heaven and earth and the power of the mountain as a centre for religious devotion. Danxia literally means "vermilion sunglow" in Chinese. Danxia Landform was formed from red-colored sandstones and conglomerates of the Cretaceous Period (about 120 million to 65 million years ago), and steep cliffs caused by exogenous (including erosion and weathering) and endogenous (including lifting) forces. Another feature of Danxia Landform is the development of numerous isolated and shallow caves of various sizes and shapes. The six inscribed Danxia landform areas are: Mount Danxia in Guangdong Province, Mount Lang in Hunan Province, Mount Longhu in Jiangxi Province, Mount Jianglang in Zhejiang Province, Chishui in Guizhou Province and Taining in Fujian Province. Located on the southeast edge of the Mongolian plateau, Xanadu was the first capital (1263-1273) of Kublai Khan and later the summer capital (1274-1364) of the Yuan Dynasty. Site in Yunnan province with fossils from an early Cambrian marine community. The site documents at least sixteen phyla from a period of life on Earth 530 million years ago, when almost all of today's major animal groups emerged. This site has four components: Tomur, Kalajun-Kuerdening, Bayinbukuke and Bogda in one of the largest mountain ranges in the world. In addition to spectacular snow capped mountains it extends into the Taklimakan Desert, one of the world's largest and highest deserts, known for its large dunes and great dust storms. 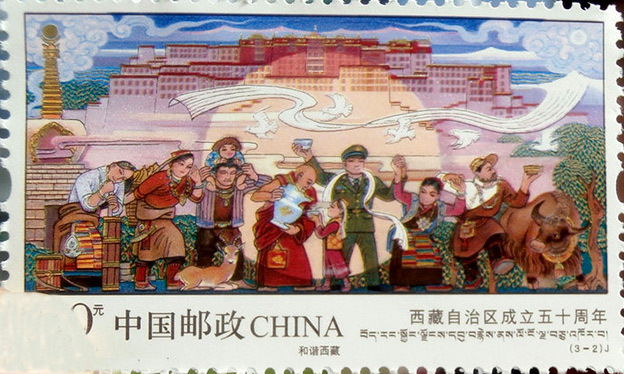 The Silk Road stretches from Chang'an/Luoyang to the Zhetysu region of Central Asia. It took shape between the 2nd century BC and 1st century AD and remained in use until the 16th century. This major trade route lined multiple civilizations and promoted the exchange of goods, religious beliefs, scientific knowledge and technological innovation. This vast waterway system in the north-eastern and central-eastern plains of China runs from Beijing in the north to Zhejiang province in the south. It was constructed in sections from the 5th century BC onwards and was the world's most extensive civil engineering project prior to the Industrial Revolution and is still in use today as a major means of communication. The remains of several tribal domains in the mountainous areas of south-west China including the sites of Laosicheng, Tangya and Hailongtun Fortress. Located on the steep cliffs in the border regions of southwest China, these 38 sites of rock art illustrate the life and rituals of the Luoyue people. This cultural landscape is the only remains of this culture today. They date from the period around the 5th century BC to the 2nd century AD. This site consists of two components: Shennongding/Badong to the west and Laojunshan to the east. It protects the largest primary forests remaining in Central China and provides habitat for many rare animal species, such as the Chinese Giant Salamander, the Golden or Sichuan Snub-nosed Monkey, the Clouded Leopard, Common Leopard and the Asian Black Bear. Kulangsu (Gulangyu) is a tiny island located on the estuary of the Chiu-lung River, facing the city of Xiamen. The island off the southern coast of the Chinese empire suddenly became an important window for Sino-foreign exchanges following the opening of a commercial port at Xiamen in 1843 and the establishment of the island as an international settlement in 1903. 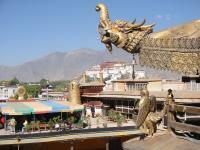 Located in the NE extremity of the Qinghai-Tibetan Plateau. This is the largest and highest plateau in the world, with year-round temperatures averaging sub-zero. All of the herbivorous mammals are endemic to the plateau, and it includes the complete migratory route of the endangered Tibetan antelope.